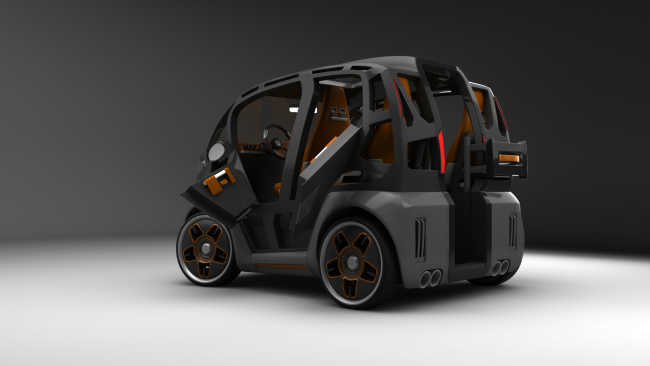 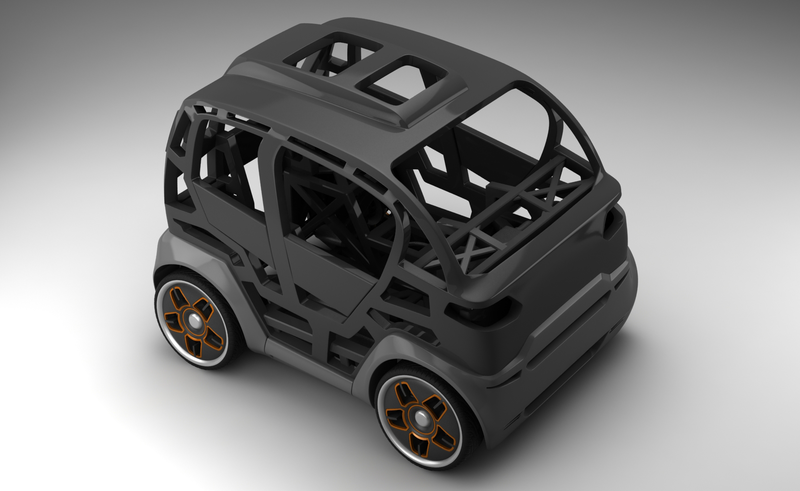 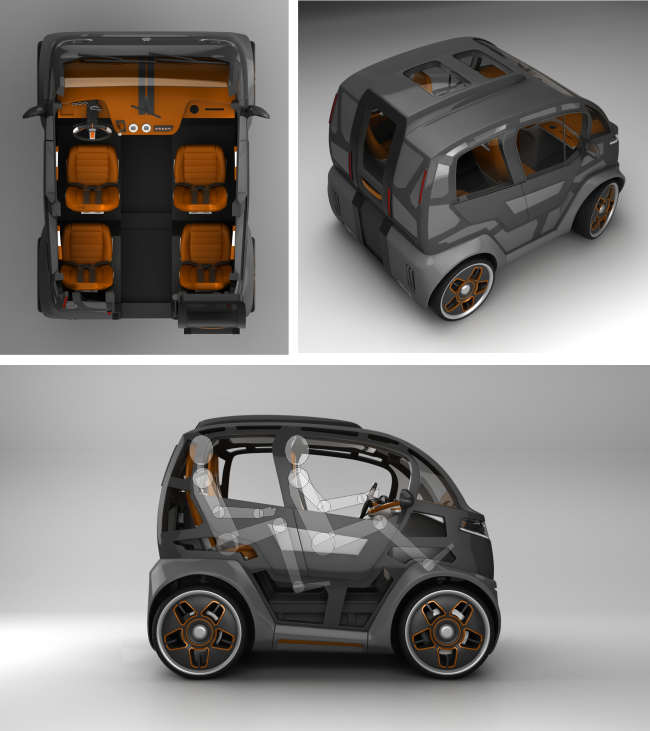 Mirrow - is a revolutionary universal platform for city cars, which will be the same length as the Smart Fortwo, but for 4 persons and their luggage..
At the same time, that the car body for more than 50% can be produced of the recycled polymers without any loss in safety and without the use of expensive carbon fiber. 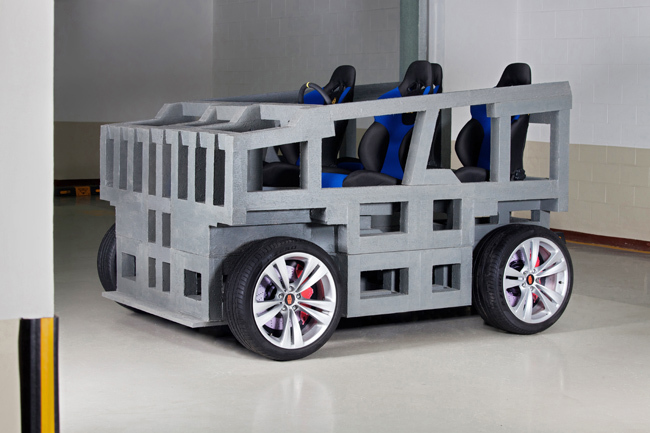 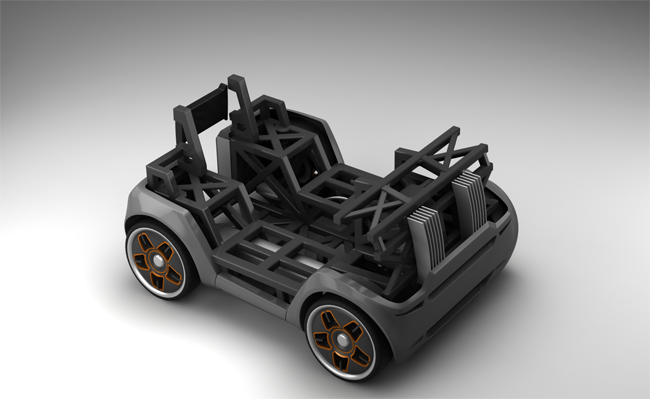 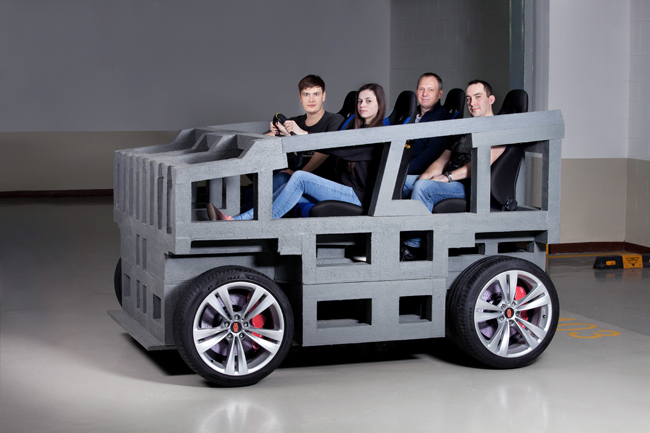 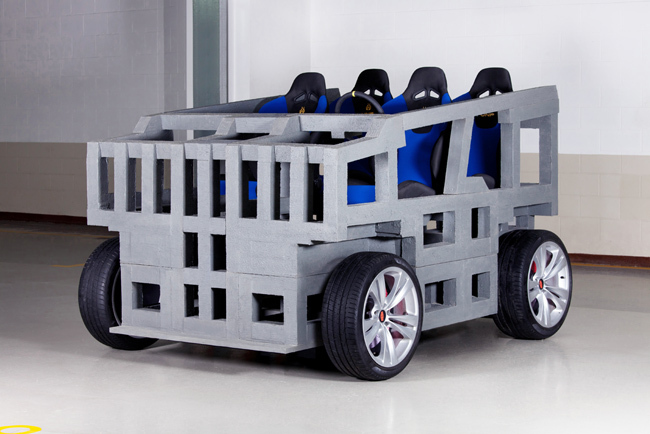 And the Mirrow platform better than any other car platforms, suitable for printing on the industrial-scale 3D printers. 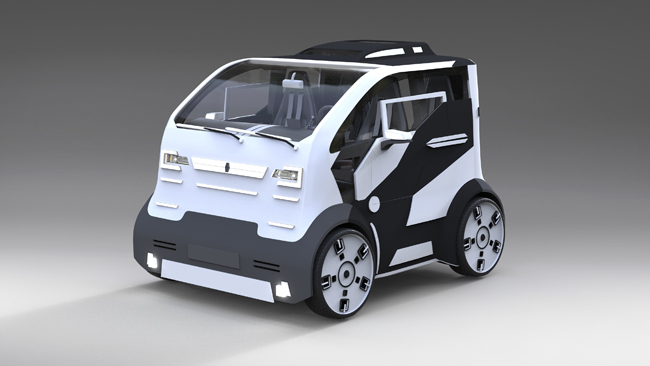 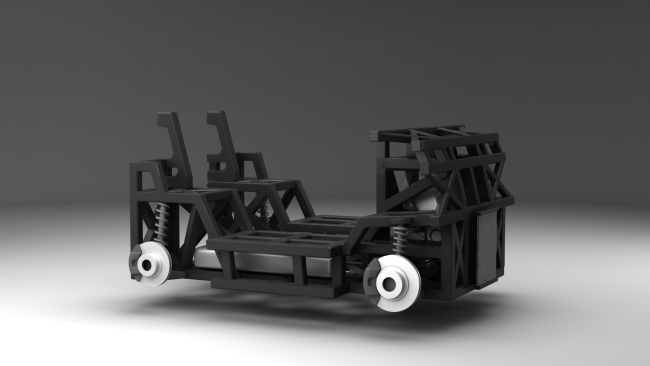 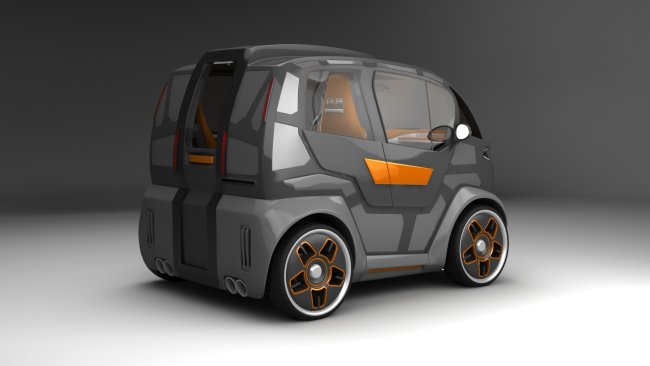 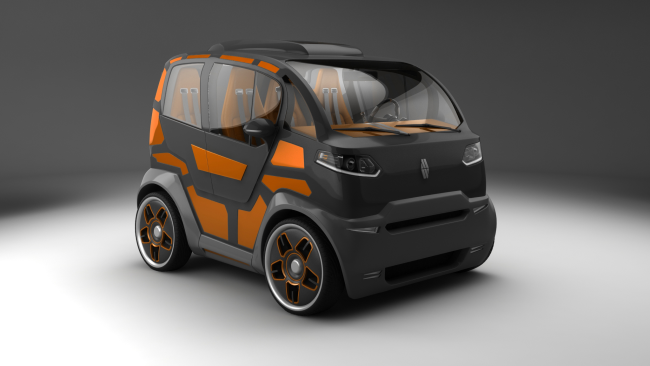 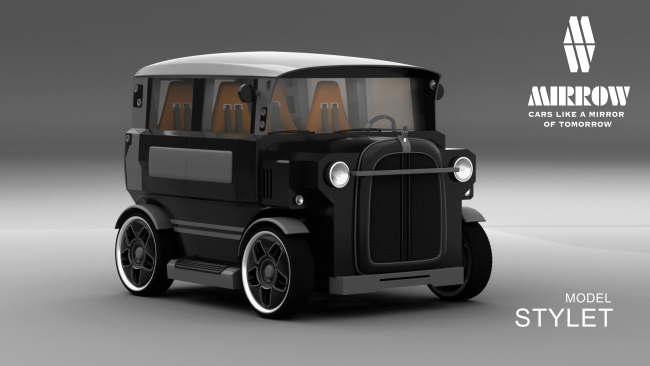 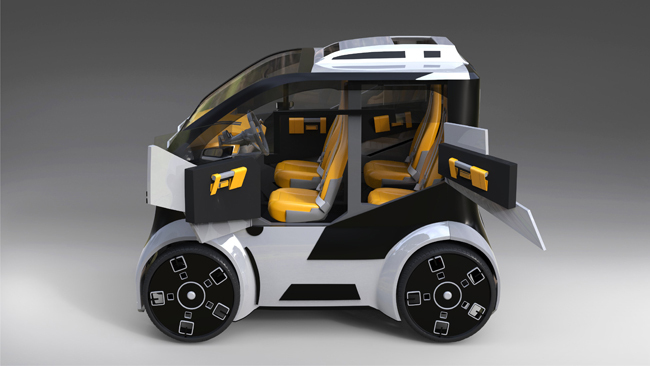 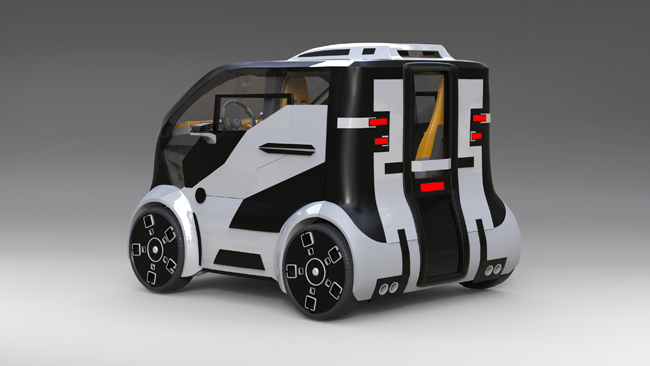 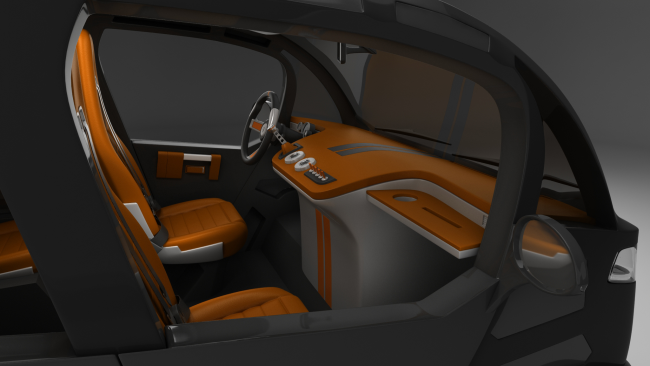 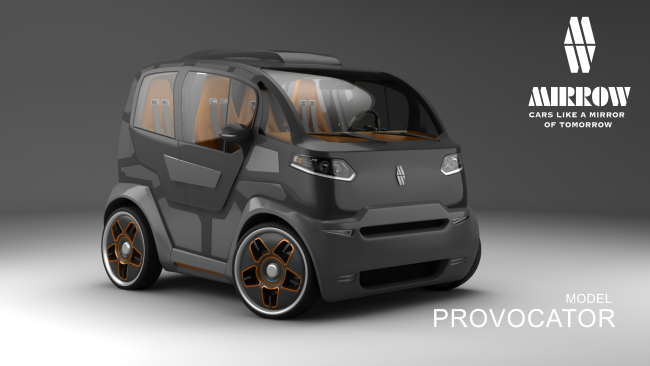 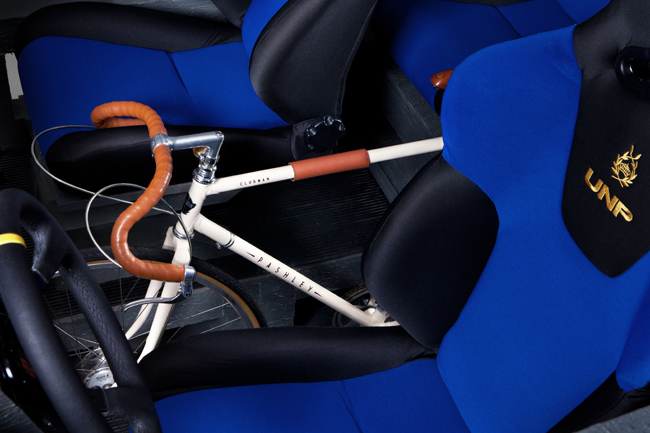 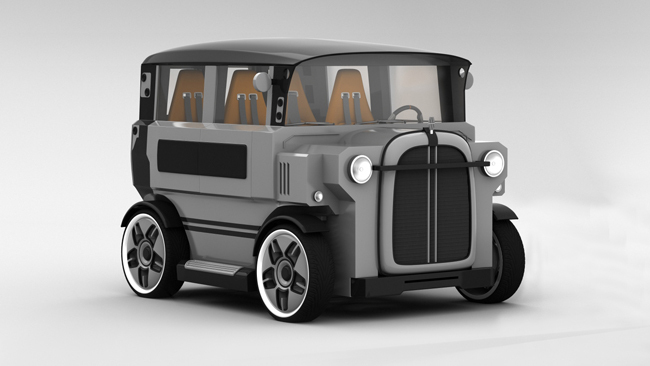 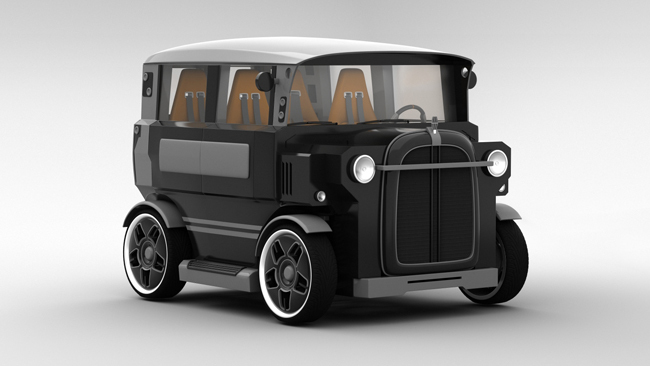 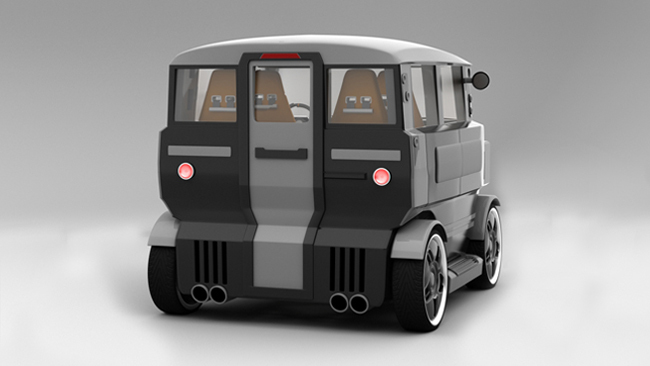 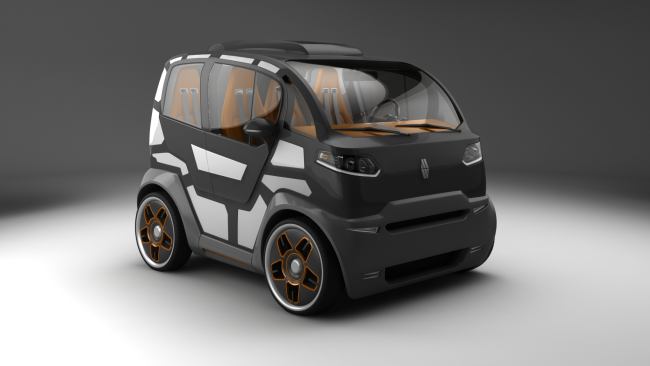 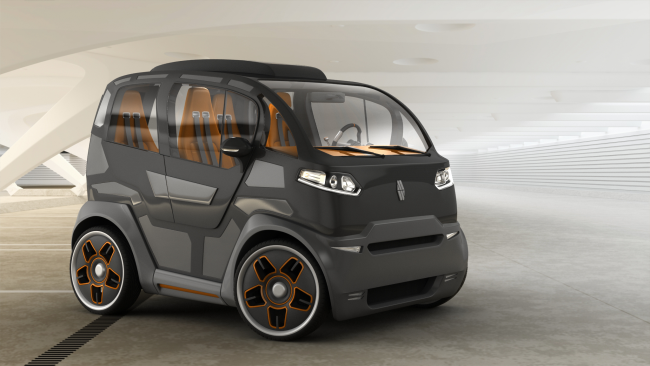 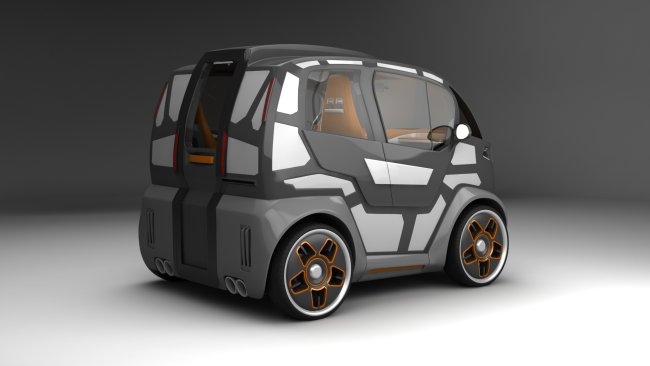 Mirrow Provocator, like our other concepts (Paradox Mirrow and Mirrow StyleT) - is not a long car, but not a small one. 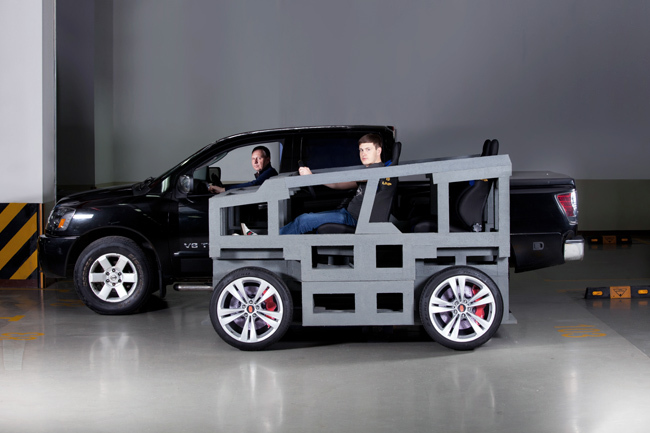 It's height and width could be comparable with a large SUV. 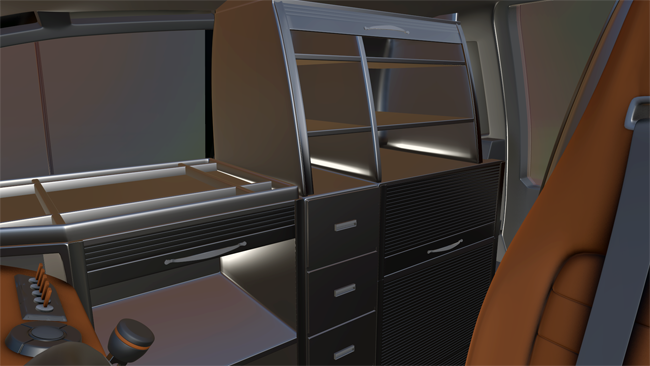 Inside the Mirrow Provocator feels like In the minivan, but the driver's position behind the wheel and the front passenger's position are close to the Mercedes E-class.. 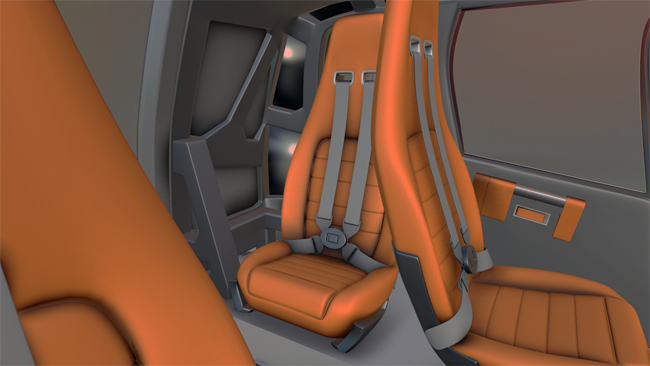 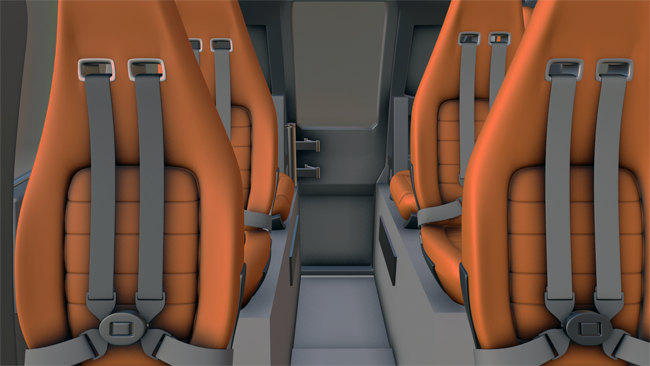 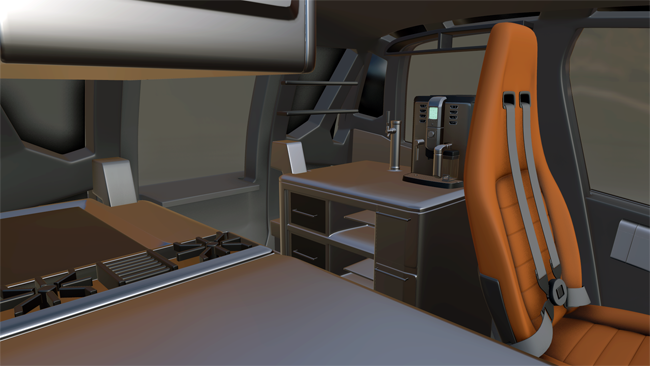 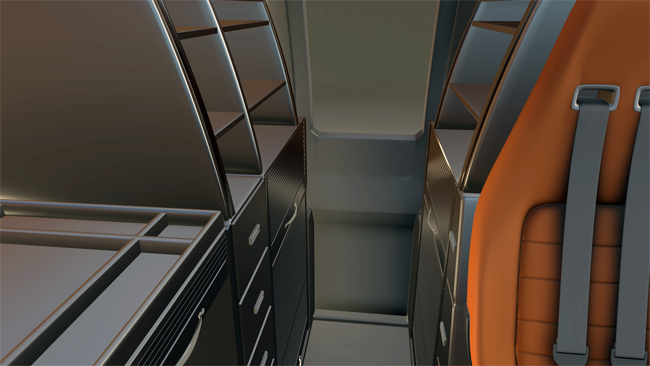 The combination of high standards of comfort and safety with the short length of the car would be achieved by using the principals of the aircraft space planning with seats located on both sides of the aisle with increased high of ceiling in the center, and access through the one ordinary size door. 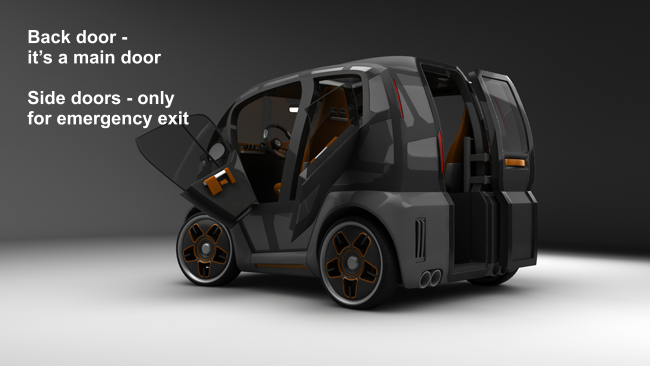 Comfortable access for the driver and passengers would be provided by the door (170x60 cm) located at the rear side of the vehicle. 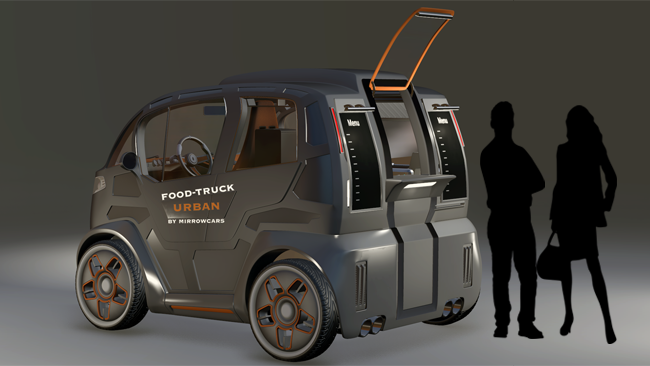 Special external device will protect this door from blocking by another car in case of the parking along the sidewalk. 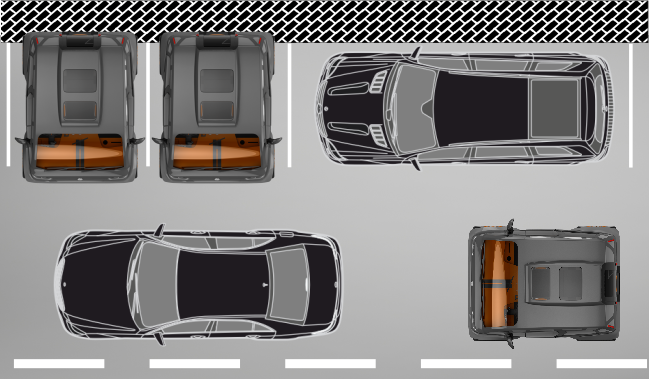 Although the best scheme of parking is the perpendicular to the sidewalk with the direct access to the pedestrian area. 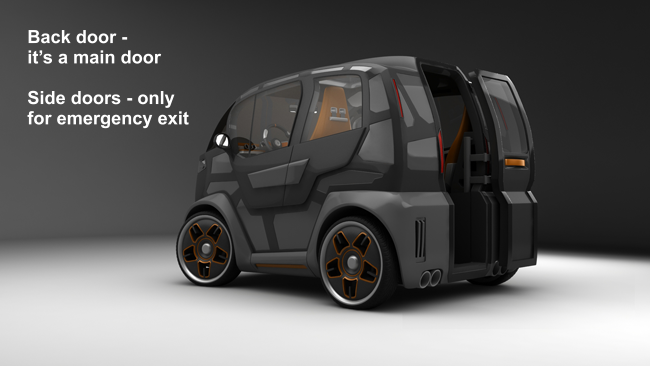 Side doors are only intended for the emergency evacuation from the car. 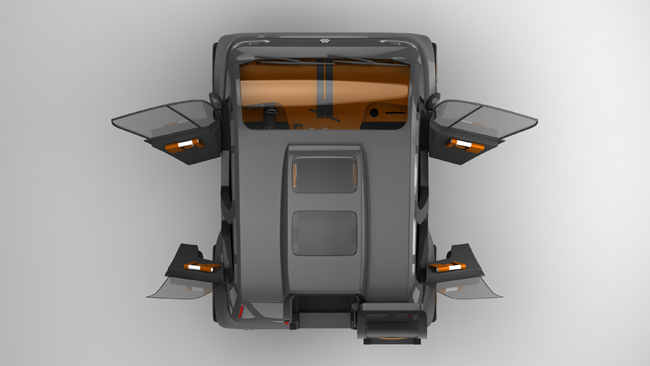 They are not very big and quite high off the ground that would provide maximum rigidity of the car body, but a powerful force element inside these doors, are able to perform the role a shield of security, even in the case of a very serious accident. 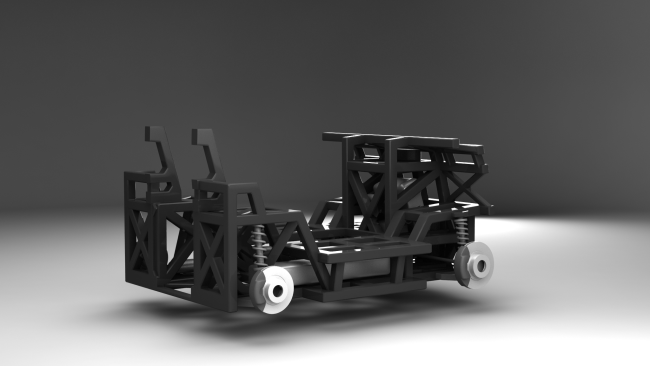 The abandonment of traditional way of accessing to the car allows us to create car body with the highest level of safety, which is the same as powerful safety cage of the rally cars, and, in addition, also has a powerful systems of the double floor from strong frames. 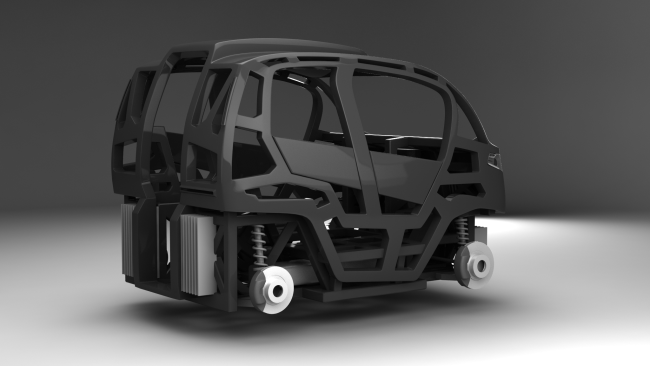 The original concept of the Mirrow platform not only have the maximum safety, but also opens the way to a significant reduction in the proportion of powerful elements of metal, which allows to replace some of them on lightweight and inexpensive powerful elements of polymers. 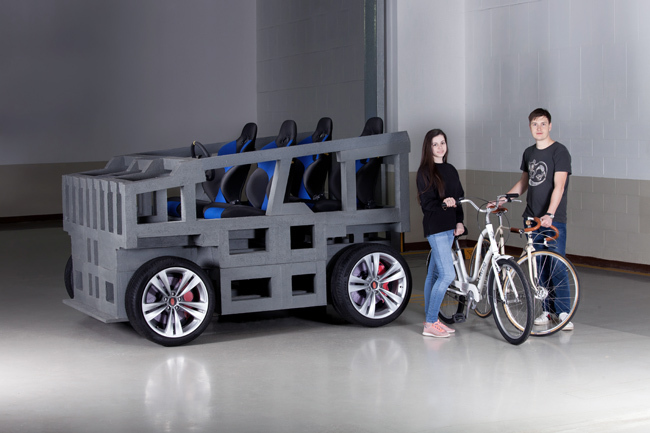 This is also without loss of stiffness and strength of the car body more effectively absorb and distribute the impact energy during emergency situations. 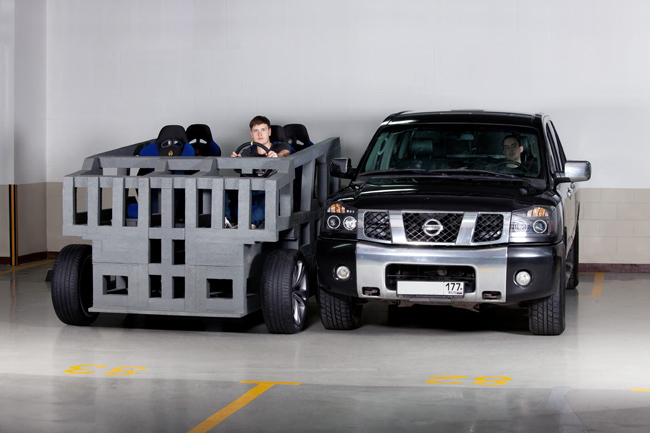 Position of technical aggregates, also has a positive effect on passive safety. 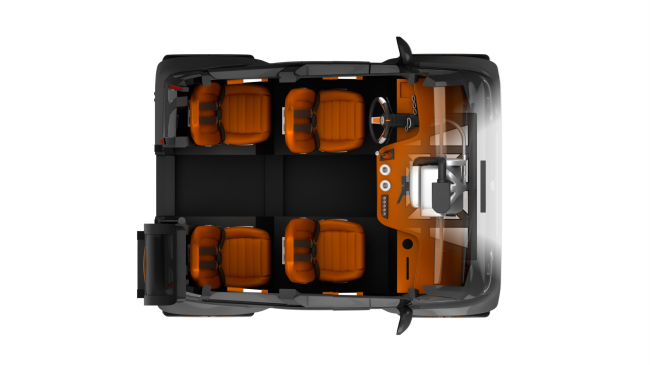 Thus the engine, which aggregated with the transmission and provides front-wheel drive, is located in the front, but in the safe for the driver and passenger area - in the plane of the width of the passage in the middle of the car. 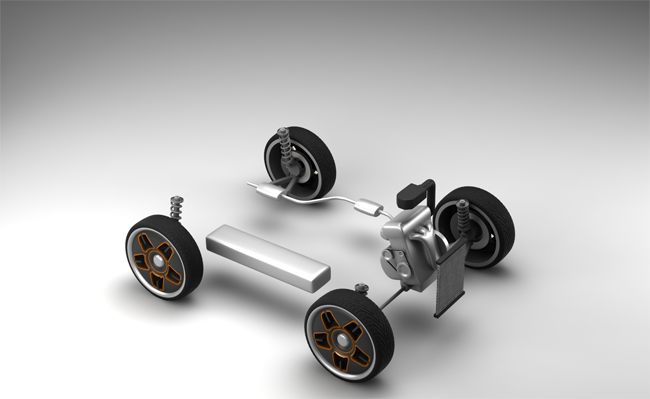 Other large aggregates, and for example, the fuel tank for the versions with the classic engine and batteries for hybrid or electric versions are located on each side of the aisle, under the floor, which is also the most safely and also provides excellent stability on the road for the car. 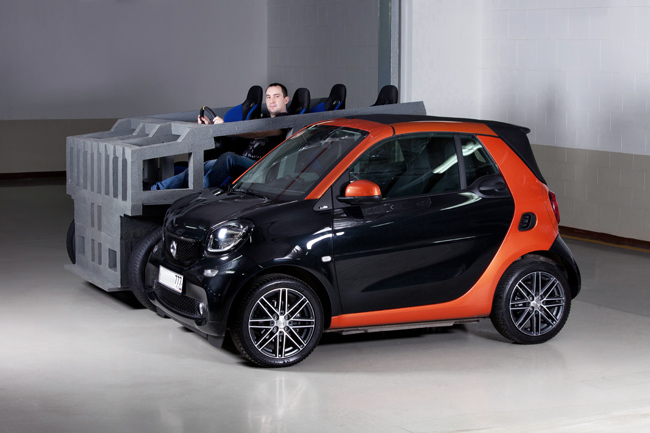 Mirrow Provocator, Mirrow Paradox and Mirrow StyleT in versions with a classic engine, for example, can be expected with turbocharged three-cylinder petrol or diesel engine up to 1.5 liters, which can provide acceleration from 0 to 100 km / h in less than 8.7 seconds. 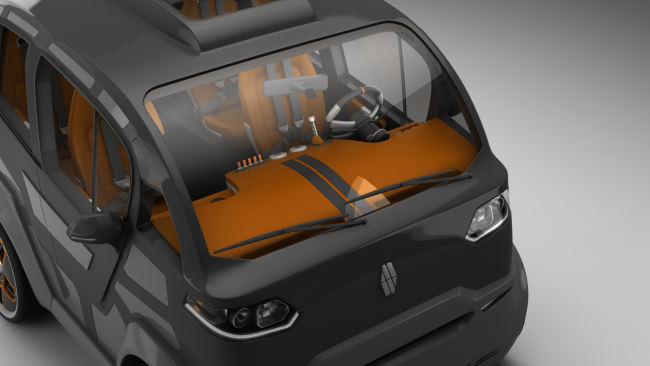 The maximum speed can be forcibly limited at 140 km / h.
Hybrid and electric version of the car on the Mirrow platform, thanks to the large technical spaces below the level of the seats installation can have significant size of the battery, which can provide a mileage of up to 350-400 kilometers. 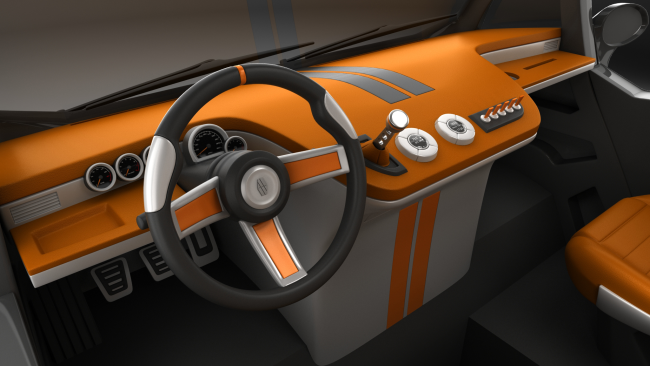 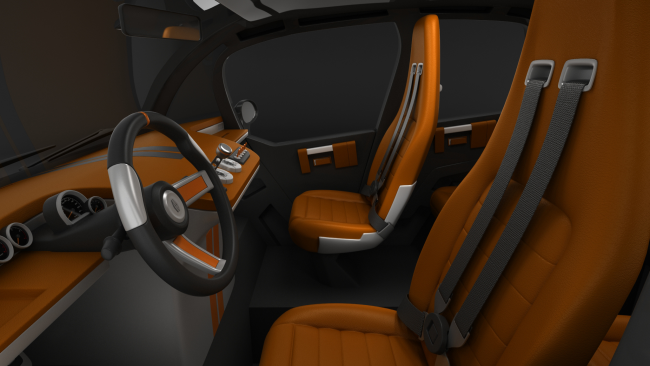 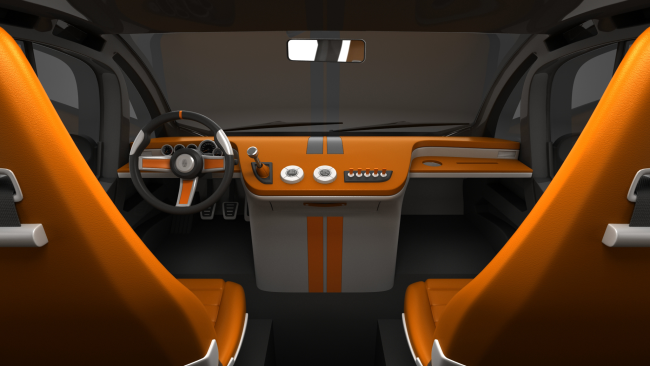 Basic version of the Mirrow Provocator, Mirrow Paradox and Mirrow StyleT interior is designed in classical style, but some versions can have a futuristic concept. 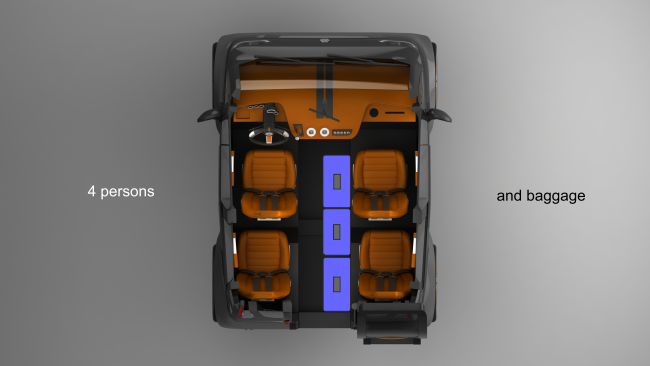 Comfort of the seats for driver and all passengers comply of the business class car, but comfortable access to the vehicle due to the size of the main door and interior spaciousness will be, even at a higher level. 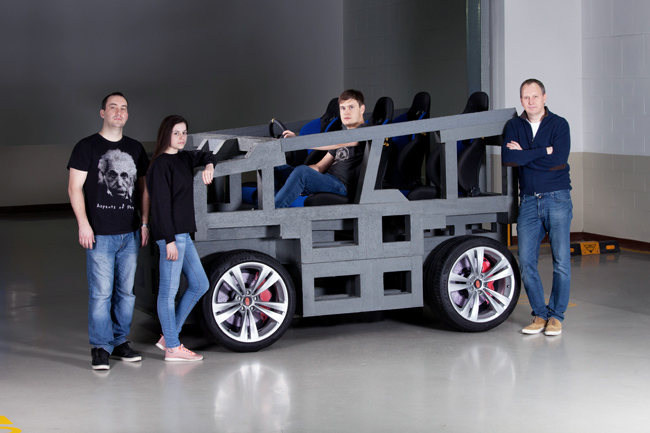 In particular, for Mirrow Provocator features a removable polymer elements, which fixed in the free plane of the car body carcass - is expensive, but effective solution that helps protect the cabin from the vagaries of the weather and get the required version of the car for any climate zone. 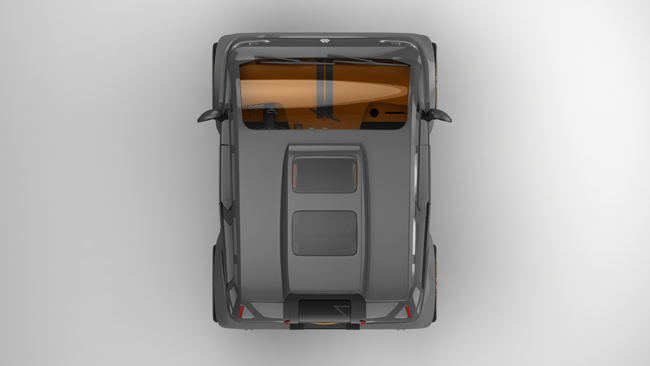 Anti-lock braking system (ABS), traction control (ASR), electronic stability control (ESP), Electronic brakeforce distribution and electronic differential lock, up to 12 airbags, parking system and rear-view camera, hill brake control and hill-start assist system, the protection system from accidentally opening the evacuation doors. 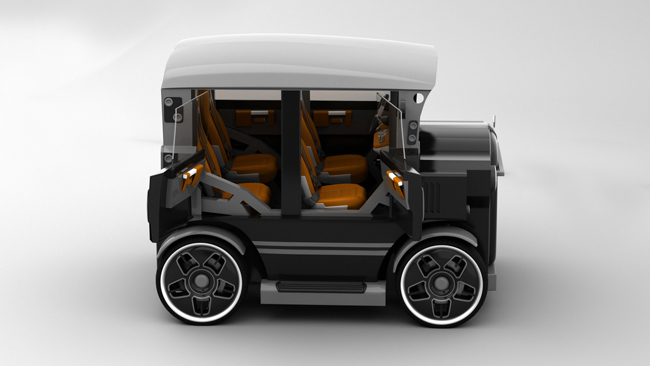 Electric motor for (mirrors, seats, sliding side windows, sunroof), heating for (mirrors, seats, steering wheel), adjustable steering wheel in two planes, power assisted steering, air conditioning or climate system, multimedia system and surround sound speaker system, comfort phone system, entertainment system for rear passengers, leather trim and wooden elements, tinted windows, xenon headlights, aluminum wheels, cargo securing system in the aisle, a locking box for items with ventilation and lighting in the center console, rain and light sensors, headlight washer, cruise control, navigation system, automatic transmission, electronic lock and electric motor for the rear door, immobilizer and alarm system, system ISOFIX for child seat. 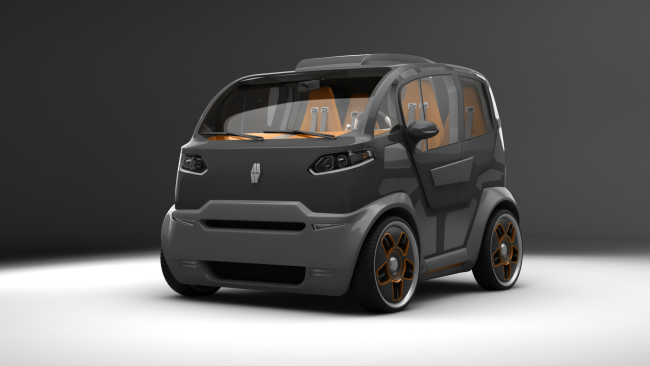 Mirrow Provocator for regions with warm climates can be offered in the basic version, with open-frame car body, without side glass and with lightweight type of the main door. 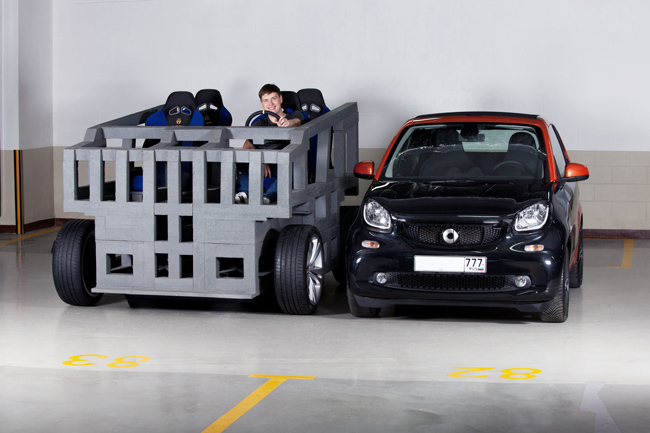 Even in the absence of a special baggage compartment Mirrow Provocator, Mirrow StyleT and any other city cars on the Mirrow platform are capable of carrying a considerable amount of luggage. 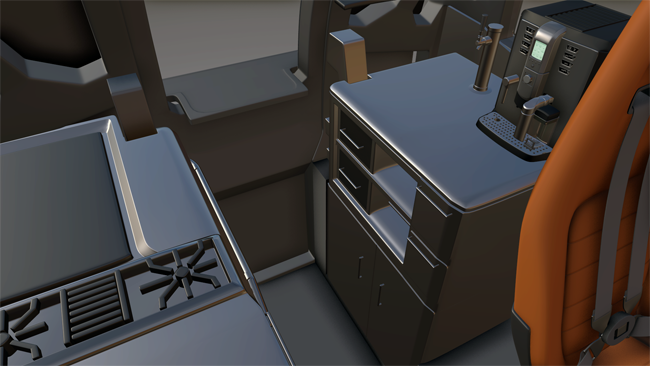 For these purposes, a wide pass at the middle of the vehicle, where can be placing a few large suitcases, skis and snowboards, or a couple of mountain bikes. 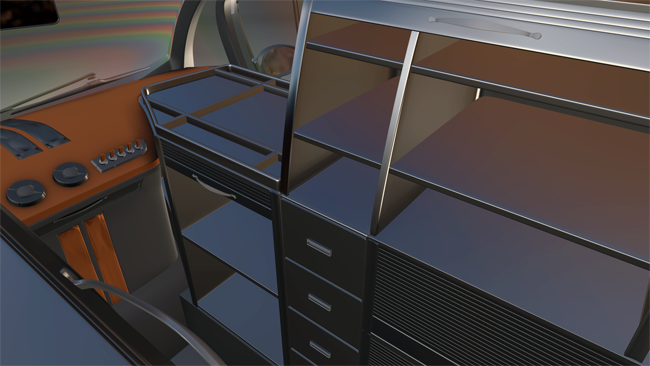 At the same time the opportunity to move through the cabin for the driver remains, because even very large suitcases with capacity exceeding 100 liters, rarely have a thickness greater than 33 cm. Mirrow Provocator, Mirrow Paradox and Mirrow StyleT are able to successfully perform the tasks, which are put before personal or family car most of the residents of large cities, but they takes almost twice less space on the road and parking lot than ordinary cars. 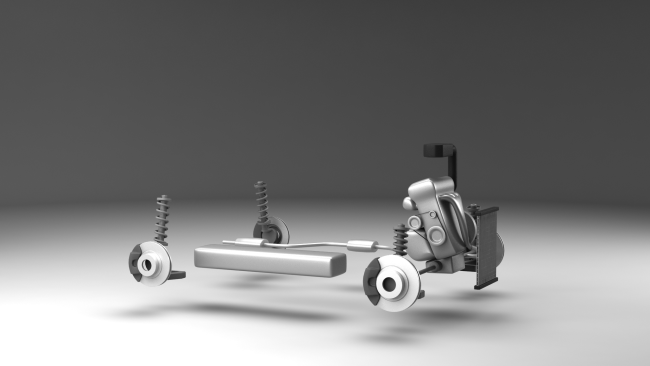 Mirrow StyleT and Mirrow Paradox, have the same overall dimensions as Mirrow Provocator; they are designed on the universal platform of less than 2.7 meters length. 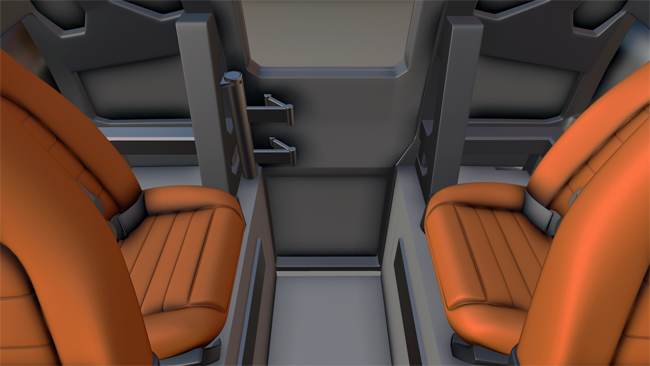 They also use the aircraft configuration: their main door is also located on the rear side of the car, and small emergency exits are located on both sides. 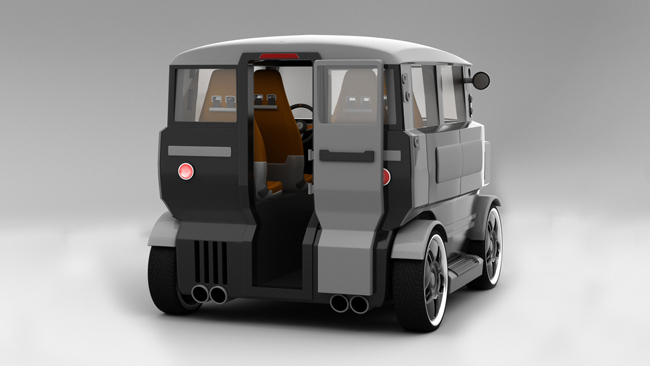 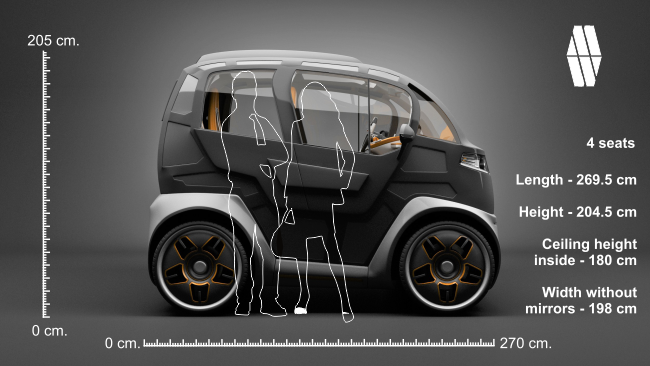 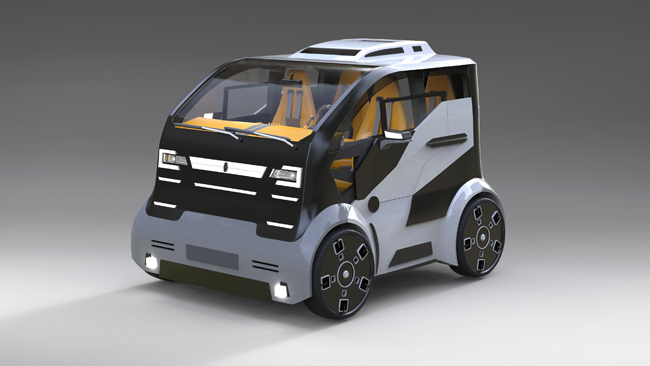 Each of the these concepts is capable of reducing traffic jams, parking in a perpendicular to sidewalks and being actually a safe and comfortable urban car for 4 persons and their luggage. 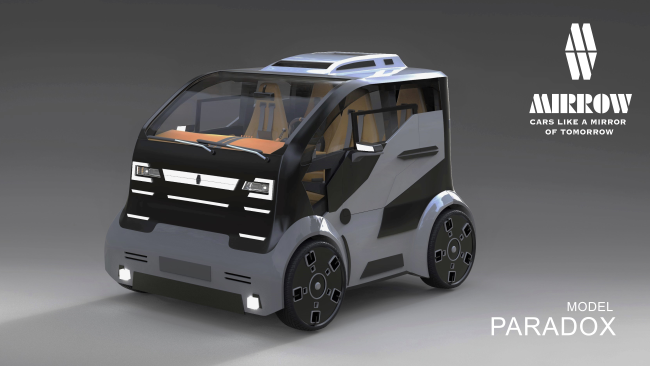 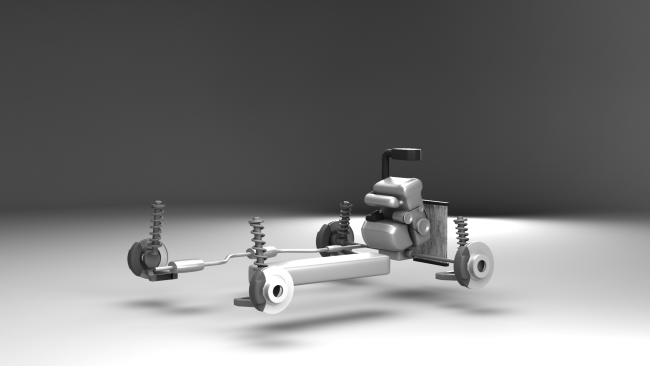 While our new concepts are intended to show the flexibility of the platform, based on which Mirrow Provocator, Paradox and StyleT were designed, the physical full-scale model completely proved our expectations regarding the external and internal dimensions and the results of the 3D simulation. 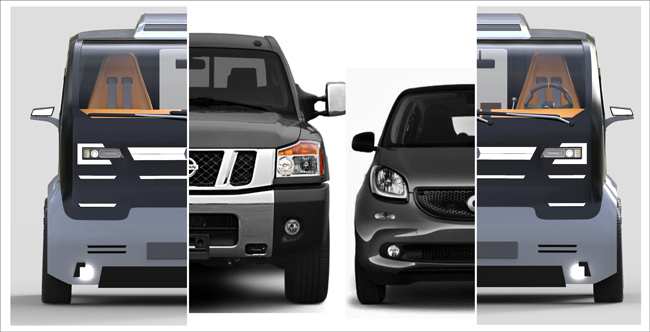 But the most surprising and paradoxical thing is that standing near with model of the platform or being on driver's seat, it creates the feeling that before you a car that is not inferior in size or authority to the road even a huge pickup Nissan Titan. 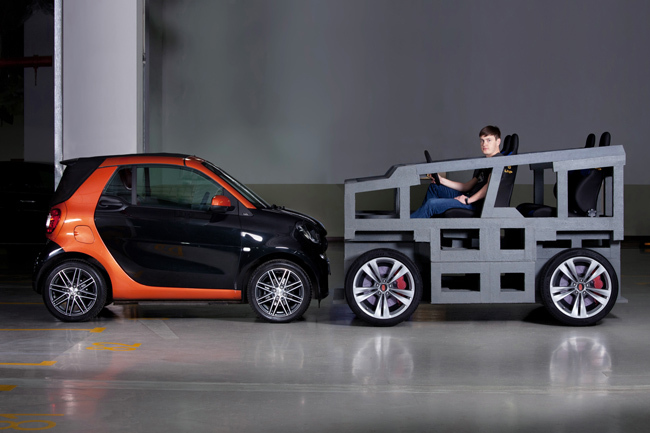 Moreover, the platform model doesn't have a roof, its length is less than 2.7 meters just like the length of Smart Fortwo, and the model has quite an urban, not an off-road clearance, equal to 180 mm. 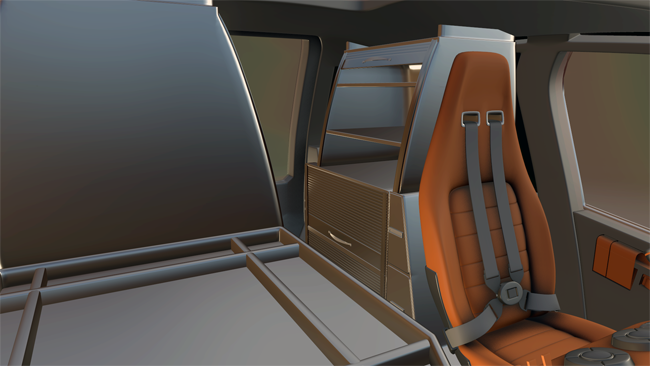 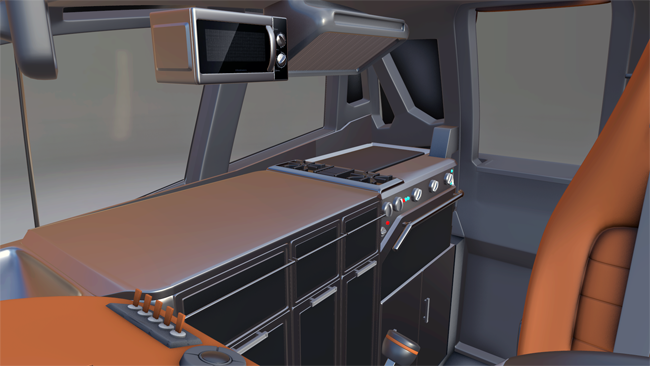 In addition to the impressive spacious interior, the model of the platform showed a significant technical space outside cabin of the car and outside of the engine compartment. 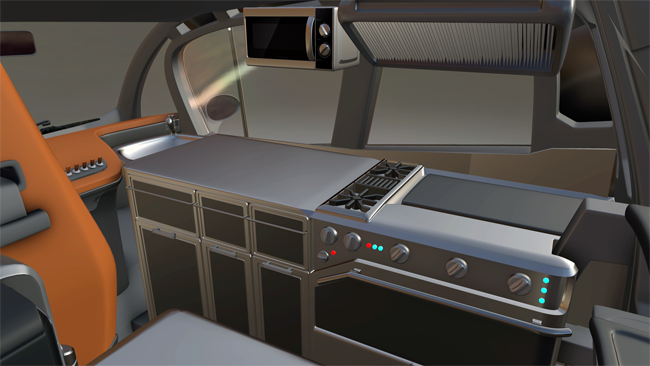 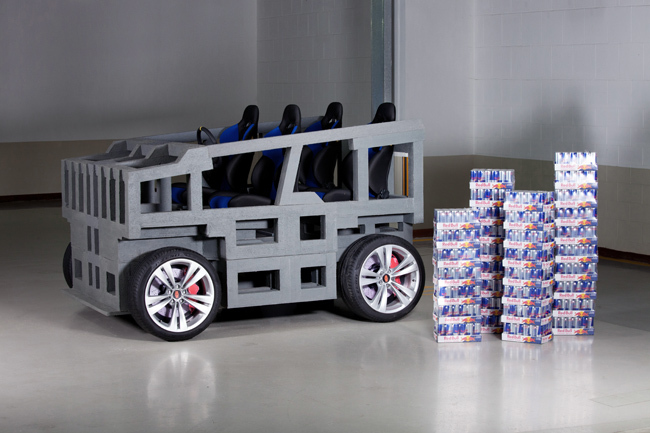 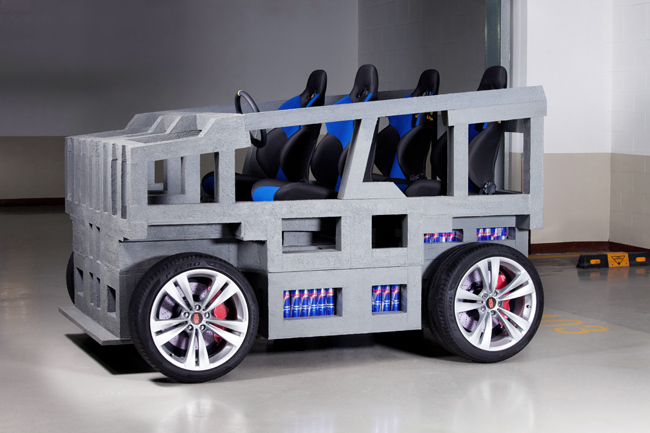 In additional technical space of the platform (under the floor and seats, and outside the zone of suspension components or other necessary aggregates) can be placed over 800 cans with popular energy drink, which look similar to the enlarged Panasonic 18650 accumulator units used in the amazing Tesla Model S. At the same time, 800 cans of RedBull are approximately equivalent to 11,000 accumulator units of 18650-type, and if believe the information on the Internet, in the Tesla Model S (85 kW / h) for mileage of more than 400 km is used just slightly more than 7,000 such accumulators. 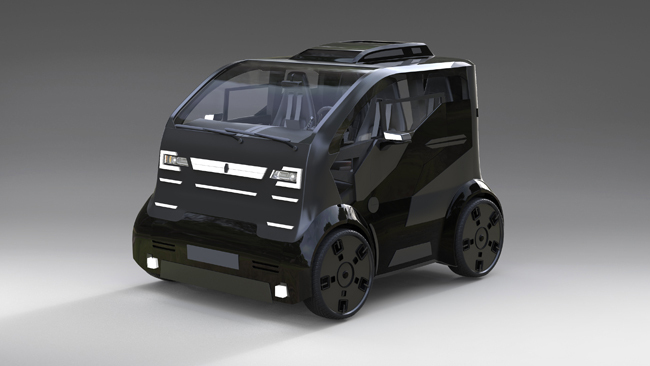 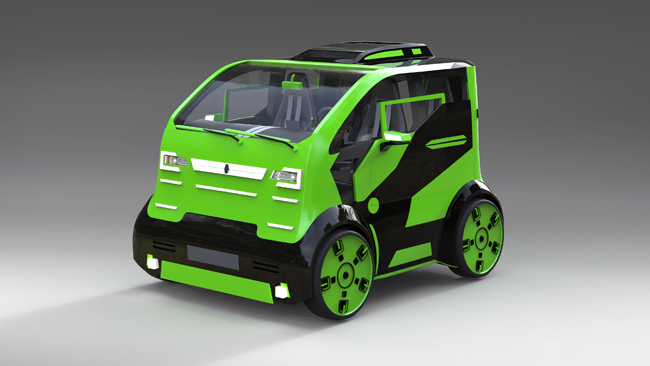 Also, special versions of city cars on the Mirrow platform, for example, Mirrow Provocator, can be useful for the corporate segment: electric versions for car-sharing, conventional or extended to 3.4m (for 6 people) for taxis, without rear seats for mini food trucks or Logistic cars. 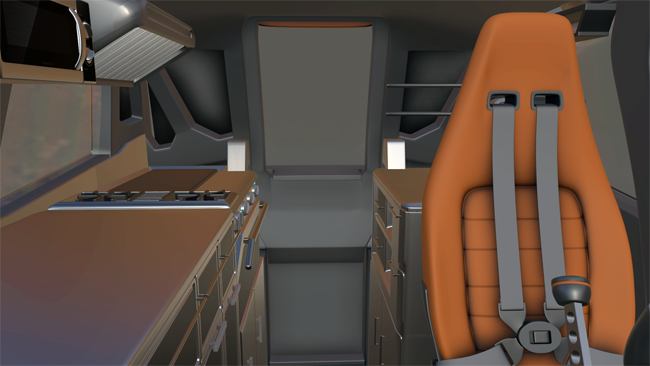 Inside of the Mirrow Provocator high ceilings and enough space for the professional kitchen, and parking perpendicular to the sidewalk is convenient to work with the clients and takes up minimal space on the road. 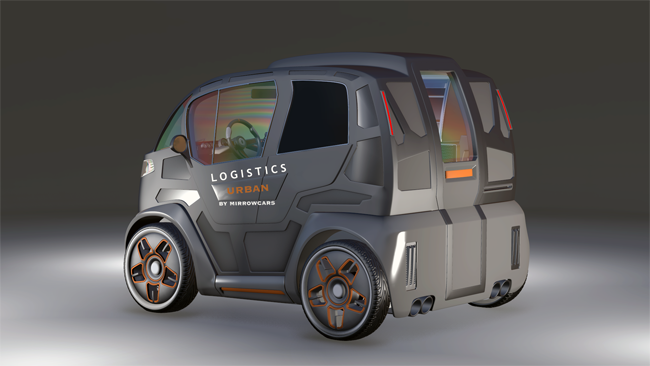 Using the Mirrow Provocator to postal or logistics services significantly reduce congestion on the roads, and the volume of cargo is sufficient for a full day of work delivery driver. 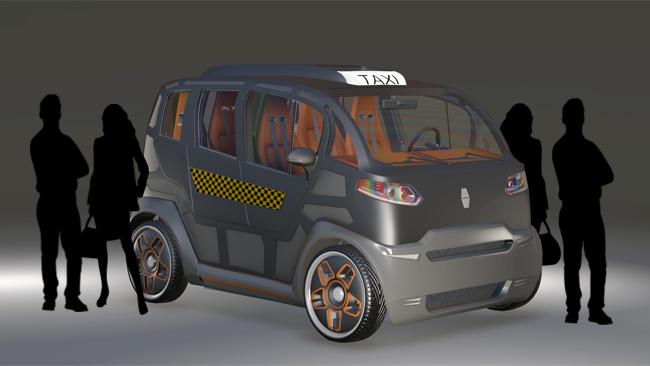 For taxis it is possible to use an elongated on 70 cm version of the Mirrow Provocator with two additional folding side seats. 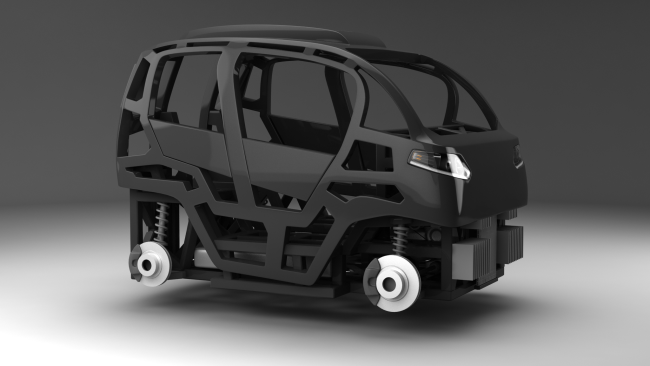 Constructive features of the car body of the Mirrow platform, its ease of fabrication and greater use of low-cost polymers, allow to predict an attractive retail price for buyers. 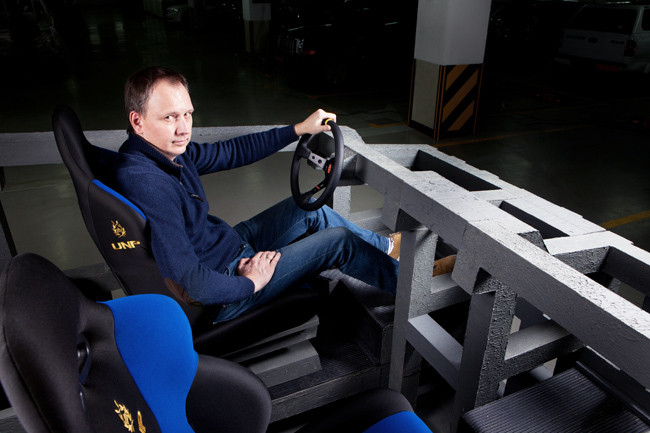 So, for example, Mirrow Provocator in the basic version according to our estimates can cost no more than 3500 - 4500 Euros when it is produced in India or China. 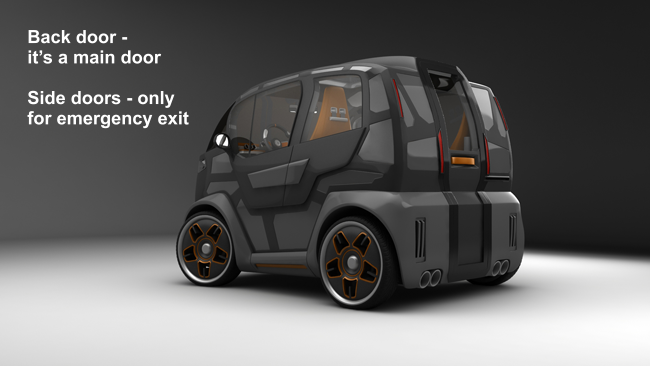 And some preferences and privileges, that are provided by governments in many countries for vehicles with an efficient use of road space, is also likely to be a nice bonus for the future owners of the cars on Mirrow platform. 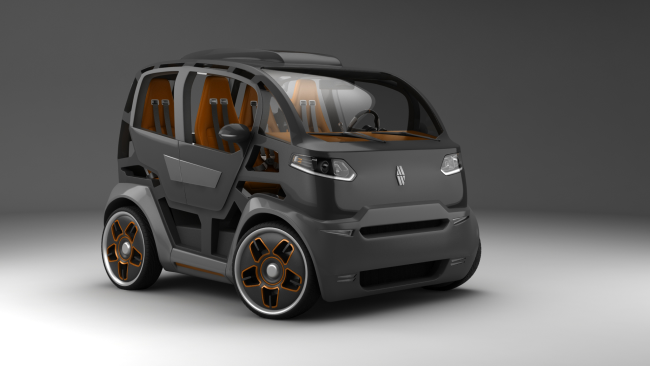 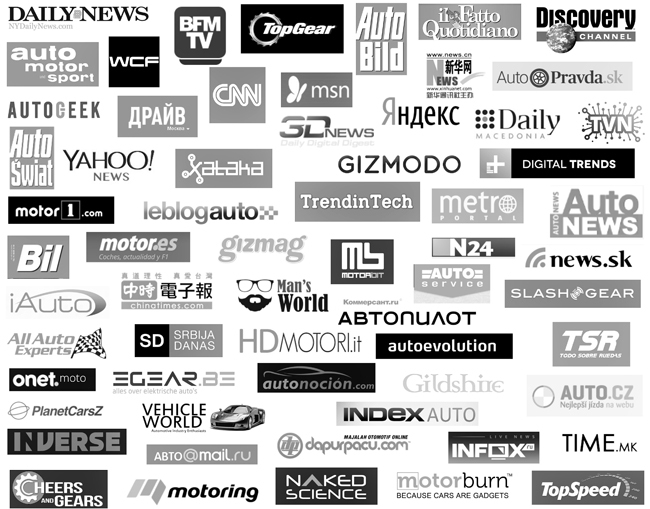 Today we can not give an exact time of appearance in the sale of our concepts Provocator Mirrow, Mirrow Mirrow Paradox or StyleT, since the beginning of their production and start of production of any other car on the platform Mirrow depends entirely on when we will be able to attract the attention to these concepts of the major car manufacturers or investors.